Some would say that binge watching YouTube on a rainy day isn’t a very good idea, but I do not agree with those people. Because from binge watching YouTube I get great tips from other people as addicted to beauty products as I am. Some time ago I watched a collaboration of Amelia and Suzie who were listing their top 10 favorite skincare products. In this video Suzie expressed her love for a particular mix of serum and oil, and I couldn't help but follow her lead. 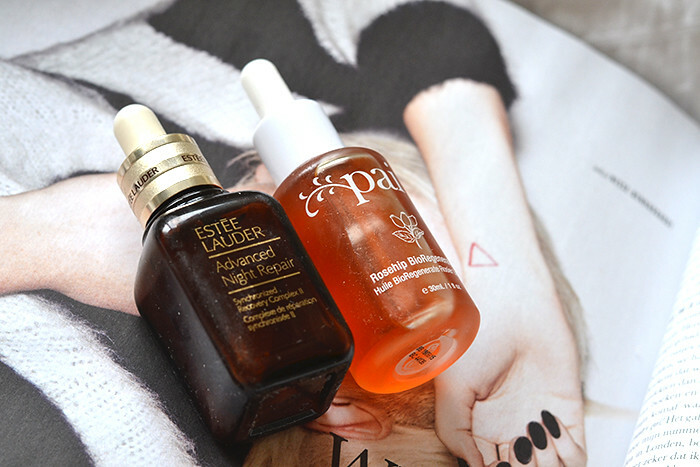 I own both the Pai Rosehip oil and the Estee Lauder Advanced Night Repair but had never thought to combine the two for a nightly application. It has always been an either/or kind of situation for me. And while I was pleased with the effects they have on my skin, I wasn’t over the moon in love with either of them. 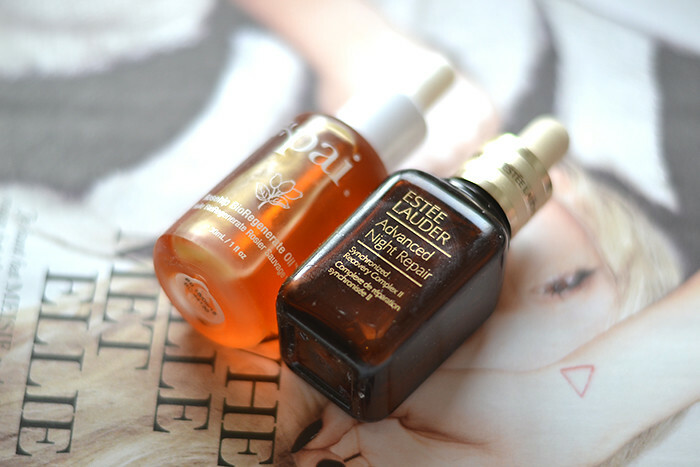 But heeding Suzie’s advice I started combining these two skincare products before I settled into bed at night and I have to say I was more than a little impressed. I wake up with radiant, plump and perfectly moisturized skin. It’s a lovely feeling looking into the mirror in the morning and looking rested for the first time in a while. I like to mix two drops of ANR with three drops of the Pai Rosehip oil and then gently pressing it into my skin rather than rubbing it in. Once I’m propped up against my abundance of pillows I take the Body Shop Facial Massager and roll it over my skin until all the product is soaked in. It’s quite an expensive duo, but the effects are truly magnificent on my skin. If you have dry, often lackluster looking skin than it might just be a perfect duo for you as well.